Happy Tuesday! It has been a rather chilly few days, and while I won't be enjoying the freeze outside, I certainly intend to do so inside. And what better way than by being surrounded by my favorite stamps, papers and inks? Today I'm super excited to share this paper pieced card! Paper piecing is one of my absolutely favorite techniques, but I seldom do it. True - it's a bit tedious, but the result is so, SO fun! And it has the ability to completely transforms the look of stamps you already have. 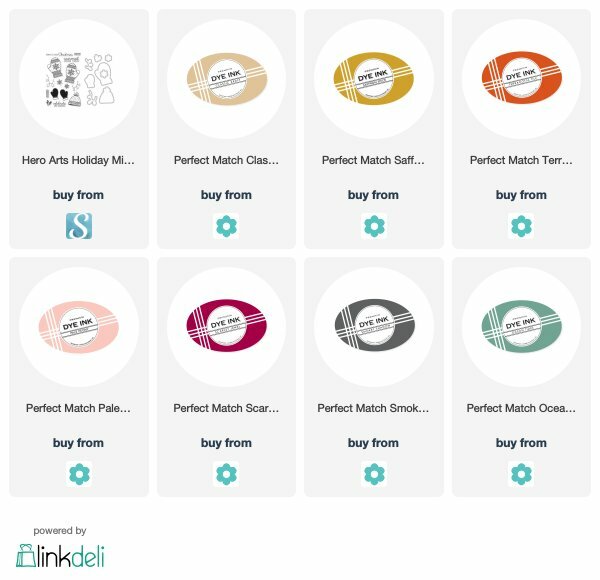 Which is the reason it's a feature in today's Stretch Your Stamps series! 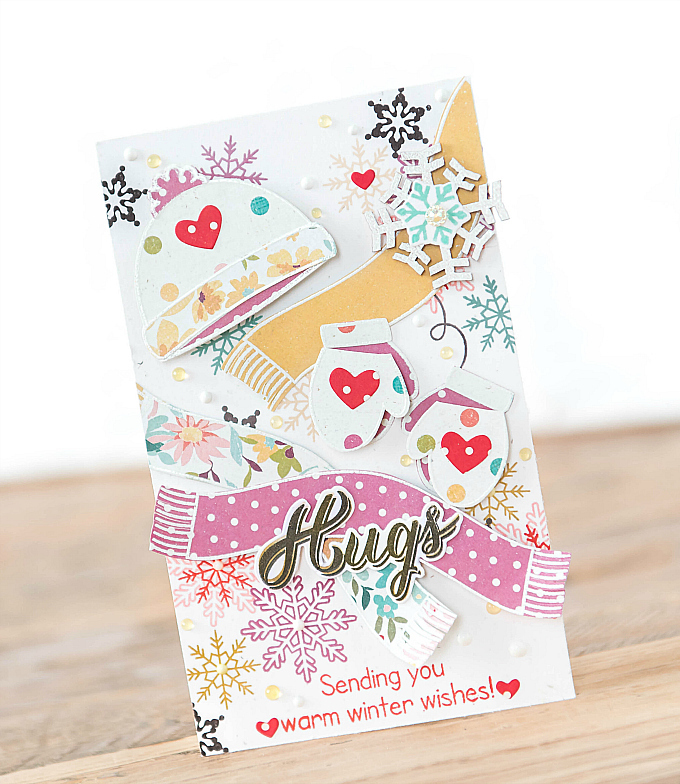 To start this card, I used various snowflake stamps to create a colorful background. I used colors of Scarlet Jewel, Smokey Shadow, Classic Kraft, Saffron Spice, Pale Peony, Terracotta Tile and Ocean Tides. 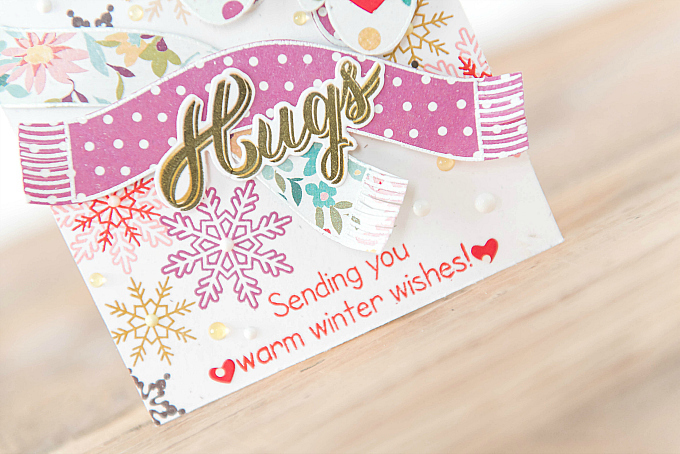 For all the winter attire, I used a TCM stamp that is no longer available, but I loooove this one!! In order to add all the little parts in various colors and patterns, I stamped and heat embossed the same images several times onto different paper patterns. I then used my scissors to fussy cut all the little bits, deciding which pattern I wanted where. I then used a combo of regular and 3d adhesive to put together my little pieces. And that's all there is to it! It not a technique I like doing when I'm rushing, but it is a perfect way to keep your hands busy when watching tv or needing something to do on a long drive (as a passenger, obvs!). After arranging all the attire, I stamped a sentiment at the bottom and added two tiny die-cut hearts. I love this technique so much! It gets forgotten around here a lot, but I never tire of it or how lovely it looks! And I love that it gives my outline stamps some extra mileage. This particular set is years old, but somehow, this take, gives the set a whole new life! 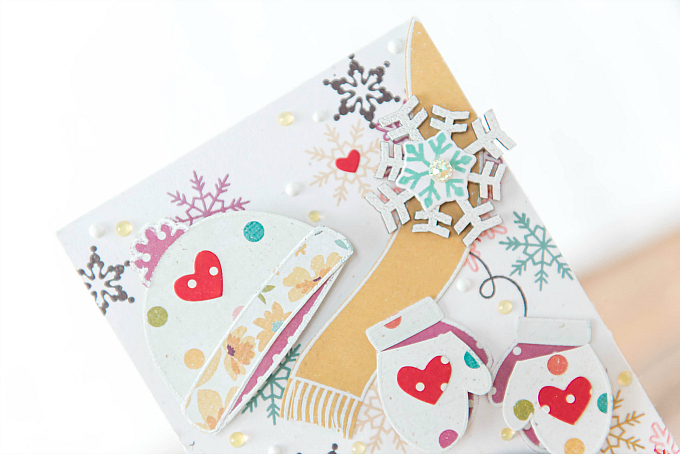 If you're inspired to do some paper piecing of your own, share it with our crafty community! We'd all love to have a looksy! Especially me :) I loooove seeing what you create! Big, WARM hugs to you all! What a playful mix of patterns! This is cute Ivana and I like the movement it has!